Droplr has been my favorite ‘quick-sharing’ service for a long time now. The Droplr app has been an integral part of my menubar for a little over 7 years now and it has worked as a fantastic tool to share not just screenshots and URLs, but also photos, videos, clipboard contents, and many more formats. Droplr generates a short, unique URL for anything you upload, allowing you to share them with anyone. 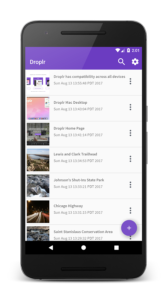 The service was completely revamped in 2015 and after all these years, Droplr now finally offers an official app for Android. Droplr started with a menubar app for Mac, but quickly became available on iOS devices. A few years later, it also introduced a Windows app, but an official Android app was surprisingly missing from its offering. Sure, there were some 3rd-party apps that worked, but having an official app now means you don’t just get full support, but you can also expect newer features to reach your pockets early. The app has been available for a few days and unfortunately, the early release was riddled with a major login bug. Thankfully, the developers have been pretty quick at releasing fixes for the bugs that users have reported. 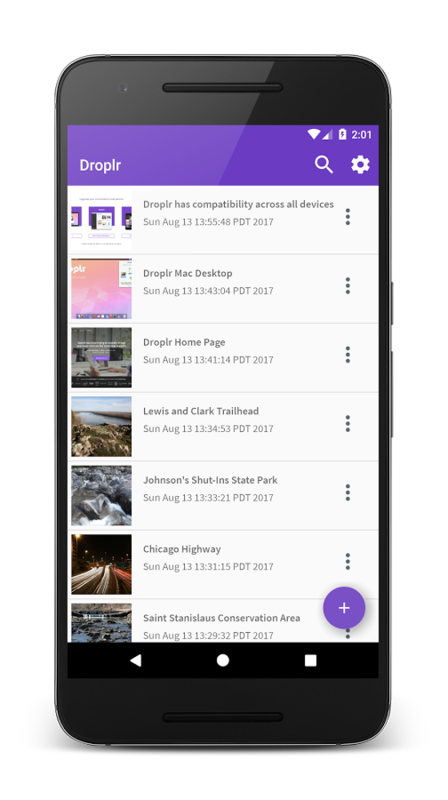 Droplr for Android is available for Free on Google Play. If you don’t yet have a Droplr account, you can sign up using this link to get a free upgrade.